The Varanasi city is a holy city located in the western part of the Uttar Pradesh in the India. Throughout history, the city is known as a spiritual city of the country. The city has more than 2000 temples besides the famous Ghats. The Baba Vishwanath one of the famous temples in the country is also in the city. The temple is dedicated to the Lord Shiva. The place is visited by those who want to soak spirituality and also by those who want to take the last breath of life and reach heaven. It is firmly believed by the devotees that lord shiva lifts their pyre and guides them towards the path of nirvana, the end of birth and death cycle. The people come to take holy dip in the Ganges touch the Ghats of the city and seek the blessing of the sun.The main attractions those are included in the Varanasi tour package are Manikarnika Ghat, Dashashwamedh ghat, Harishchandra ghat, Tulsi Ghat and Assi Ghat and many other ghats. 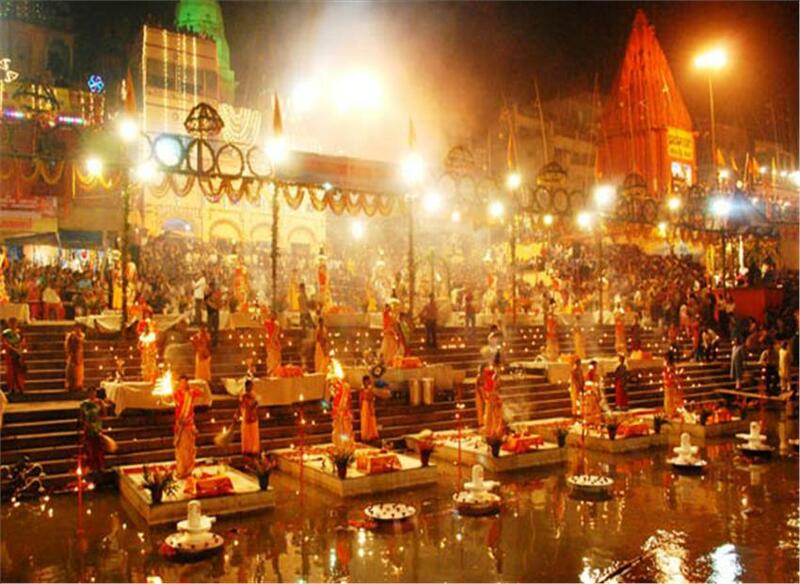 The other highly recommended attraction without which the tour cannot be complete, is being part of the Ganga Aarti. The Ganga Aarti is organized at the Dashaswamedh Ghat for 45 minutes. One can take the boat the being witness to the ritual from the river side. If one happens to be in the city during the Ramlila time one can joint the performance of Ramila at around 80 places in the city. It provides glimpses into the rich cultural and religious life of the India especially of the Sanathan Dharma, the Hindu religion. The sacred dip is taken at the Dashashwamedh ghat on occasions like Karthik Purnima and lunar eclipse. The passing through the lanes of the old Varanasi tour and watching the oldest continuous civilization at work is itself a rewarding tour. The visitors must taste the local delicacies; take snaps with the falcons in the early morning hours, as they are not visible after 8 in the morning. The best time to visit the place is autumn and spring time. The Bharat Mata Temple, Tulsi Manas Temple, Durga Temple, Tomb of Lal Khan, Gyaan Kupoor Well etc are also covered in the tour. Package expenses include hotel, air or railway fair, sumptuous breakfast and dinner.